With the arrival of December, many people experience angst over the approaching holiday. For some, this has to do with awkward, difficult and/or impossible family relationships, which come into focus under the cultural expectation of family togetherness at this time of year. 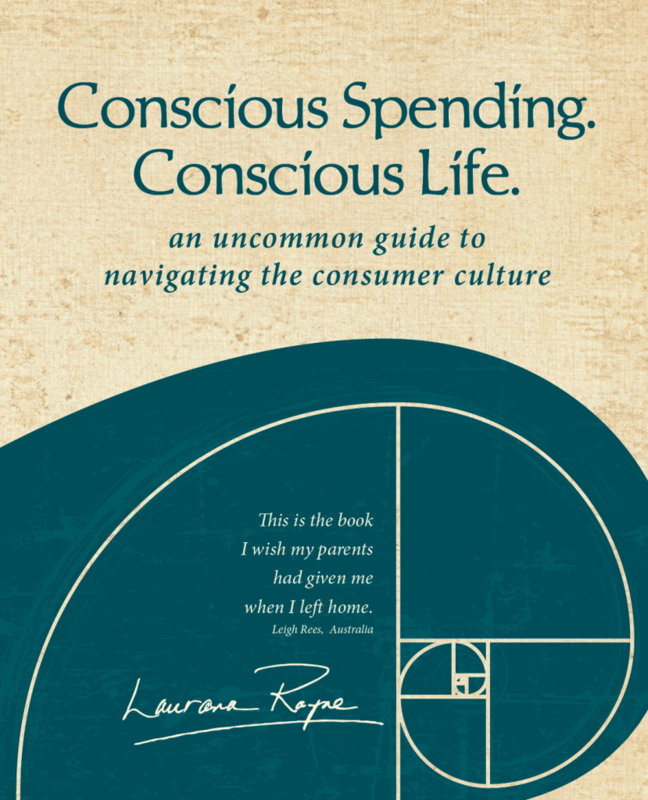 Living in a consumer culture puts us under enormous pressure to spend mindlessly. And our ready access to credit cards has been the marketers’ dream, fuelling the attitude they want us to have: What the heck, spend beyond your current capacity because you can. I don’t do New Year’s resolutions. It doesn’t mean I don’t accomplish things. But I go about it differently. Resolutions are cousins of goals, and both are fraught with similar difficulties. One problem is that goals and resolutions are pass/fail propositions. They come with baggage. You make it or you don’t. If you don’t, you are judged—by yourself and others—as a failure, a bad person, less than. Another difficulty is the inflexibility of resolutions and goals. Stephen Covey, in First Things First, compared goal-setting to placing a ladder against a wall and resolutely climbing to the top, only to get there and discover you had placed it against the wrong wall and wasted a lot of time and effort getting somewhere you didn’t want to go. Often the goal was achieved at a cost—the sacrifices that were made to push through and get to where you said you were going. Perhaps there’s an element of character-building when we say we’ll do something and follow through no matter what. But I think we do better when we set up our lives in ways that allow us to respond to changing conditions. I’ve noticed that business researchers are now writing about how important it is for companies to be able to pivot as circumstances change. The same applies to our personal lives. Heaven knows, we are living in times of rapid changes of great magnitude. In the last year there have been numerous occurrences—political, environmental, social—that would have been unthinkable a short time ago. 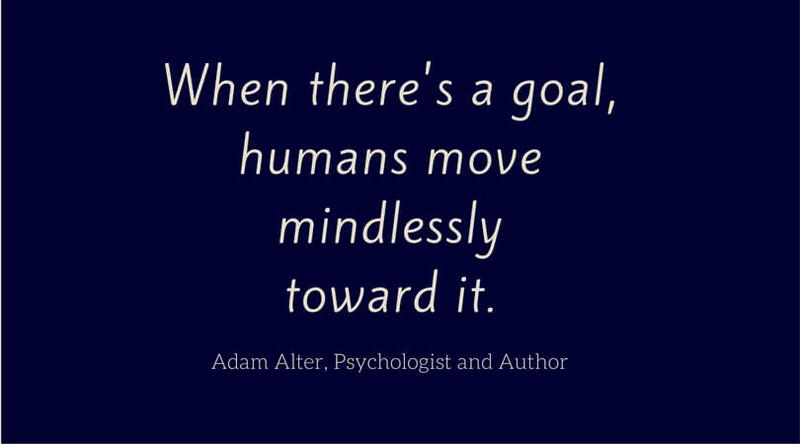 Alter’s view is that goals are a broken process that can’t help but be unfulfilling, as he explains in this brief video. His alternative is to set a system that emphasizes the process instead of the far-in-the-future result that seems like an anticlimax when you reach it. This approach gives more immediate reward for effort but, like goals, still has the potential to be inflexible and unresponsive to changing conditions. We are in times where we can no longer afford the luxury of mindless, knee-jerk, habitual behaviours. My alternative to goals is based on intention and following the energy. 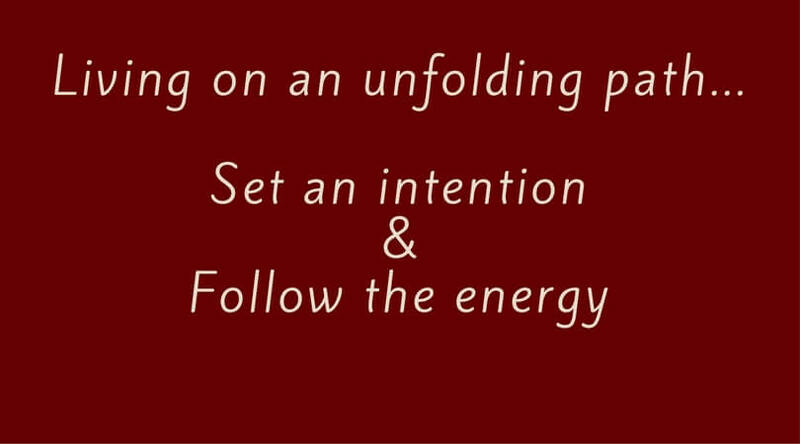 Following the energy is a mindful way of engaging with the activities of life, Setting an intention puts things in motion. You follow the energy by tuning in and being alert for subtle messages as you move through your days. The trick is to not overlook those messages or discount them when they present themselves. Here’s a mundane example that I know many of us have experienced in some variation: You’re in the store picking up groceries and something catches your attention. 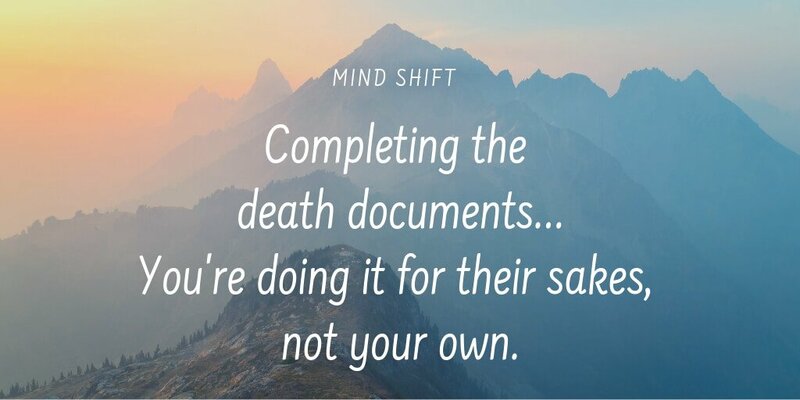 It’s an ingredient you rarely use and your mind says, ‘What do you want that for?” Since you haven’t plans to make anything using it, you move on. A couple days later, in the midst of a snow storm, you are cooking dinner for an unexpected houseguest. The recipe calls for—you guessed it—the ingredient you left in the store. If only you had paid attention. I had my first direct experience of the unfolding path when I went to England for the first time many years ago. I knew I wanted to travel from Schumacher College in Devon to Stonehenge, and had a time frame but no specific itinerary arranged in advance. By paying attention to prompts and information that appeared along the way, I had some surprisingly profound experiences. This was a revelation to me because until then I had been someone who liked to have every detail nailed down. In the years since then, I’ve come to appreciate that living by intention and following the energy makes for a much more interesting life. The first step is to cultivate your ability to pay attention to the promptings, your intuition, or however it is they present themselves. Make it your intention to open up to them, and you might be surprised what happens! For a long time, I have thought that we live in a culture where “normal” is the lowest common denominator and, therefore, not something I want to aim for. I thought I was alone in my opinion—until I heard and interview with Pilar Gerasimo. She is a health journalist and change agent best known for her work as founding editor of Experience Life, a whole-person healthy living magazine that reaches more than three million people nationwide. Becoming and staying a healthy person in our culture is tougher than it ought to be. You can’t just roll merrily along with the unhealthy status quo, or you’ll become part of it. You have to maintain a base level of hyper-vigilance just to avoid getting sucked into the dominant-culture machine. Choosing to be a healthy person in an unhealthy world means becoming an outlier. It means frequently walking against the traffic of a mass-hallucination — and that’s not something most people are prepared to do. Waking yourself up and noticing what’s going on within and around you. Reclaiming your energy, attention and autonomy. Learning to think differently, choose differently, be different in ways that please you. Hopping off the conveyor belt and tossing some well-placed wrenches into the dominant-culture machine. The Living Experiment is one of my favourite podcasts. I appreciate their thoughtful conversations about the issues we encounter in trying to thrive in an unhealthy world. These are some of my favourite topics, but there are many others so scan the list and see what appeals to you. 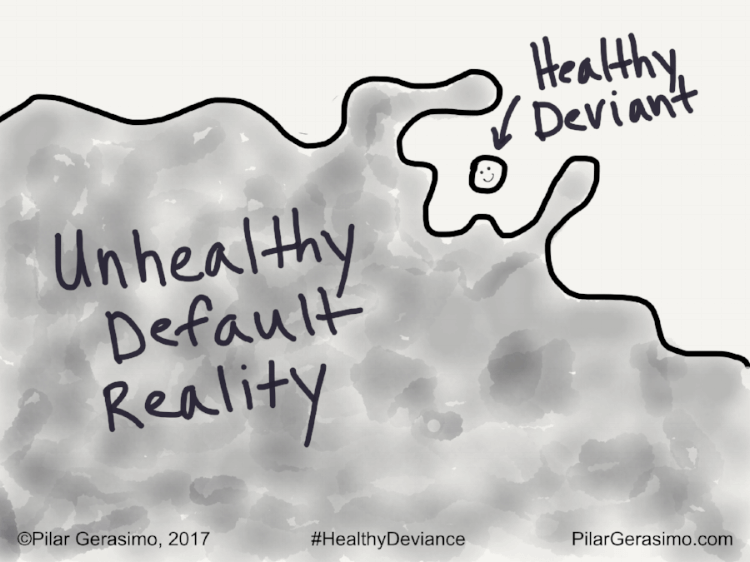 So…I’m interested in your thoughts on the concept of healthy deviance. 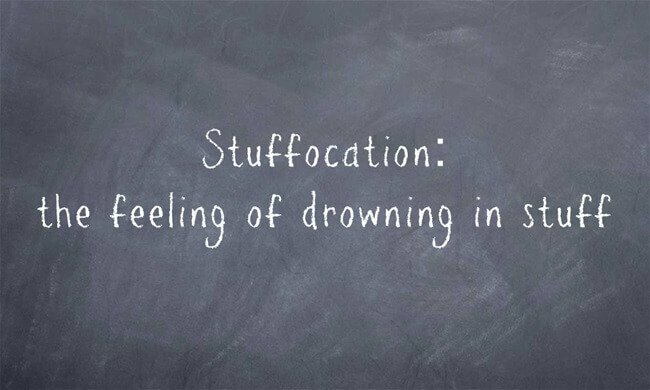 Can you relate or not? Do you have experience in trying to thrive in an unhealthy world, even though you didn’t call your actions healthy deviance? I’d love your comments if you have anything to share about this post.